Knife Shooter info about the game-Games2Rule. 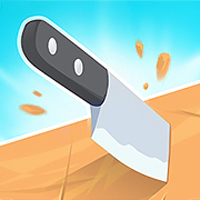 Knife Shooter has a rating of 4.2 stars (out of 5) and it has been played 248 times now. Please go to our Skill games section if you want to play more games like Knife Shooter! Time your shots and try to shoot as many knives into the target as you can in this addictive Knife Shooter game!